The essence of successful electro stimulation is a good power unit. We currently offer 5 designs, all created by us exclusively for electroplay. The 2B is our upgradeable, top of the range dual channel unit, with more power than ever before, and 17 modes to control it all, as well as the option for a digital PC interface (PC and Mac compatible), mains power options and of course Internet/Web control via E-Stim Connect it is simply unbeatable. 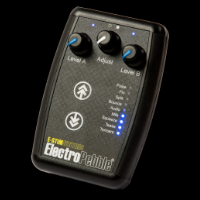 If price is an issue or you are looking for something a little more simple then our ElectroHelix is ideal as a starter unit or if you want a little more, then consider the highly popular ElectroPebble. The ABox is a unique audio driven unit (think voice control!!) 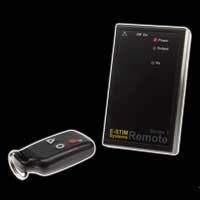 while the Series 1 Remote offers nearly the same level of functionality to that of our original Series 1, but all controlled by a small keyfob remote, at a range of up to 150ft, as well as being the first ever e-stim remote to offer a built in motion sensor. All of our packs come complete with the control unit, a set of reusable self adhesive sticky pads (4), at least one 2mm to 3.5mm connection cable (two with the 2B), a battery and a carry case, and of course not forgetting a comprehensive user manual. Some packs have a few more goodies, depending on what you are looking for, and if that is not enough, don't forget all of our control units (and premium electrodes) are covered by a lifetime guarantee.